After a dearth of westbound trains in the early evening slot we now have this, the 6V35 Dagenham to Acton carrying sand. It runs slightly later than the 7081 Transfesa used to, nevertheless it is a welcome sight. 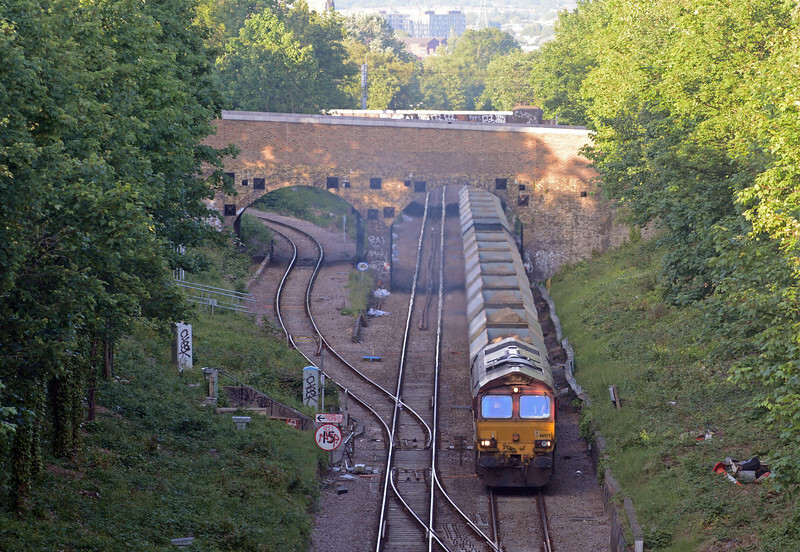 66079 climbing past Harringay Park with the loaded hoppers.